This natural body scrub recipe will leave your skin feeling revitalised and refreshed. Exfoliating your body with sea salt removes dead skin cells which is often beneficial after a summer holiday, especially if you are returning to a dry climate after the nourishing humidity of the Seychelles. 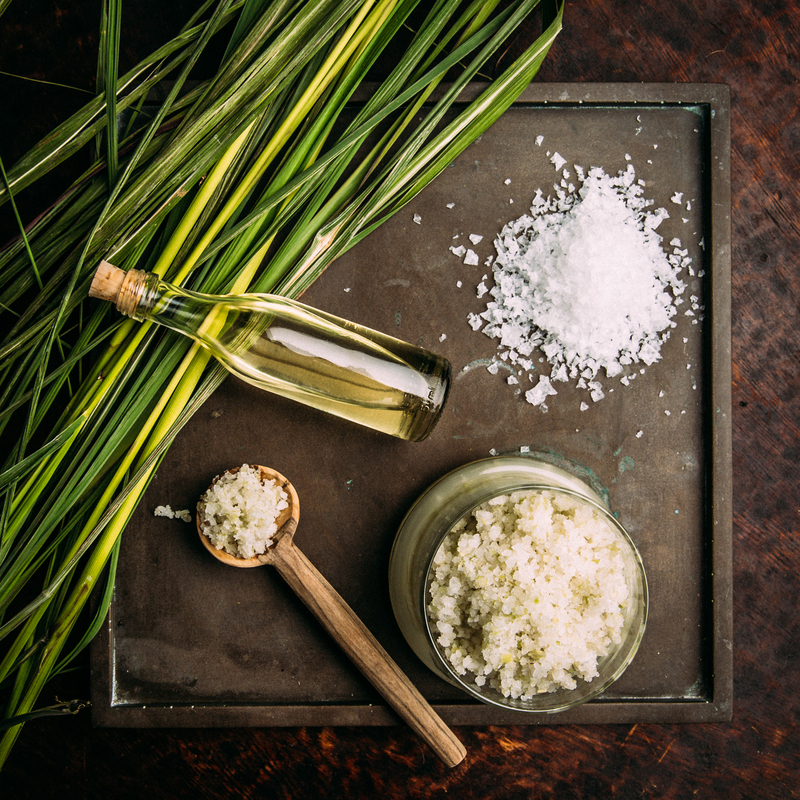 Coconut oil is one of nature’s best moisturisers and will hydrate the newly-exposed fresh skin cells, while the fragrance of lemongrass will leave you feeling refreshed. Bruise the fresh lemongrass stick using the back of a knife to release the fragrance and oils. Then blitz in a blender until finely chopped. Add the salt and fresh lemongrass into the jar and stir in the coconut oil. The texture should be moist enough to hold the ingredients together, but not overly oily. Should you wish to intensify the lemongrass fragrance, you can add the essential oil a few drops at a time, until you are happy with the strength. Use a spoon to scoop out the scrub as required, massage into your skin and rinse off with fresh warm water. Use the scrub sparingly (once a week) for soft, smooth skin. Be careful when getting out as this may leave your bath/shower slippery. *It is not recommended to use essential oils if you are pregnant.